So here are my top 10 ways Motherhood has changed my life. Motherhood has definitely helped me understand the Phrase “Rome wasn’t built in a day”. We may have N number of things to do at one time, you may have a house to clean, a toy rampage to organize or a clingy toddler who would not just settle, a sink full of dishes and millions of house chores to finish but I have understood motherhood is EXHAUSTING.It takes time but I have learnt to relax and say it is OKAY! Yes, it is okay to let go of few things and take a few minutes for yourself and relax those nerves. Heard of the phrase “Daag Ache Hai” to be honest in a mum’s life “Daag Sachhe Hai”. Motherhood has taught me to be more tolerant towards Imperfections. Imperfections in myself or in other’s. You may enter my home and see a nagging mom trying to get her kid to clean his mess or you may find me sleeping when I have a whole mess to clean as well as house chores to finish. I have come peace with the idea the certain level of clutter and chaos is evident in an Imperfectly Perfect Mum’s Life. The house may not be Perfectly Clean and that is Perfectly fine! You may have gone to the best of Spa’s or got the best of massages but as a mother I look forward for some quiet time in my hot shower time (without Kabbir banging or crying, pleading me to come out) to be very Therapeutic. 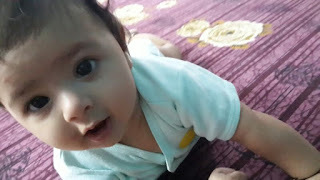 I just never knew that I could stare onto those white tiles for such a long time while my little monkey goes wild without me for those 15 min’s. But these hot showers have helped me go through some rough times and helped me remember who I am and what I am about. 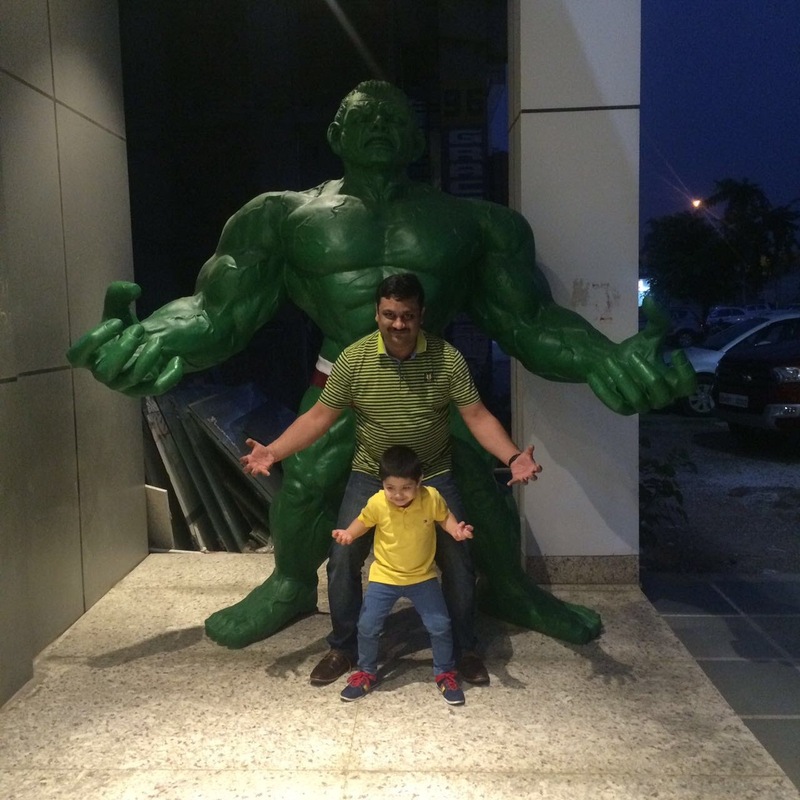 Even though things rarely go as planned in a mom's life I’ve learnt things workout….ALWAYS! You may have a science project to complete in a night or had to deal life without sleeping 3 hours straight. Motherhood has definitely made stretch my limits to the extent where I thought i could break and face everyday with little bit of courage and loads of faith. Motherhood can be a Thankless job a great deal of times, despite our best efforts to teach kids to be grateful. But THAT IS OKAY! Because the joy of feeding my kid far more lasting than his fleeting compliments. As we Mom’s learn to survive by putting way to much effort to keep our house altogether despite of kids, dogs and yes a baby like husband. Multi tasking is the most natural and my goto skill that comes handy after becoming a mother. I never knew i could hold my toddler on my hip, cook dinner, while answering a phone call and also think about my next Instagram post…ALL AT THE SAME TIME! and i love to see how my Kiddo thrives under my care. 3. Motherhood has made me loose my coolness…and that is cool! If you are a mother you would understand how long a mom can spend discussing about the color of her kid’s poop or discuss the contents of their vomit. You may find my son wiping his dirty hands on my shirt, or me acting all cool besides an unconsolable toddler crying on the floor of a toy store, or helping him run across the mall so that we could make it to the public restroom before he pee’s in the public! I may sound shady and uncool but we mother’s have somehow embraced this lifestyle with bit of confidence and loads of motherly love. Yet I am proud of the fact that we may not be cool…probably ever! still enjoy it and making memories out of it. It is sometimes overwhelming how every decision I take would have consequences on Kabbir's life. He makes me want to be much more than I am . Motherhood has and will continue to teach me to be Selfless, Compassionate, Patient, Courageous and Empathetic. It has changed me FOREVER! I have realized that I may think I know Everything but raising a kid takes the effort of a whole village. Before having Kabbir I used to see all confused parents, stressed and thought they must be doing something wrong to have their kids acting up like that. Now I just want to run to every mother I see at a store with a child throwing a tantrum and hug them or give them a pep talk that it will be okay. I freely admit i know nothing when it comes to parenting every kid comes with different temperament and personality and all mum’s have different set of challenges to deal with them. instead a passing on my advice i just find cheering up an exhausting mum and do our best to navigate her through rough waters by sharing our stories of motherhood to be very useful. Life took a new meaning and fullness just because of the presence of a little person in my life and I started to forget what life was before I had a baby ( okay may be rough days I remember, I may remember some of the peace and quiet and child-free vacations/ child free bathroom moments ) but for most of the part I would never trade any of those for the joy his smile could bring to my heart. I now am entertained by simple things in life watching kabbir and his dad making a play house or to see him laying near a pile of toys and acting all silly. I ask myself what did I do to entertain before i had a kid? So I guess it is all worth it! do you Agree? I would love to Thank Pooja Kawatra for making me part of this Blog Train. Do read here blog “Mums & Babies” and the entire schedule of the Blog Train Here. and now the next stop, Rashmi from NotJustMommying, who is a Hospitality professional and educator turned blogger. A proud cloth- diapering, co-sleeping, breastfeeding mom. 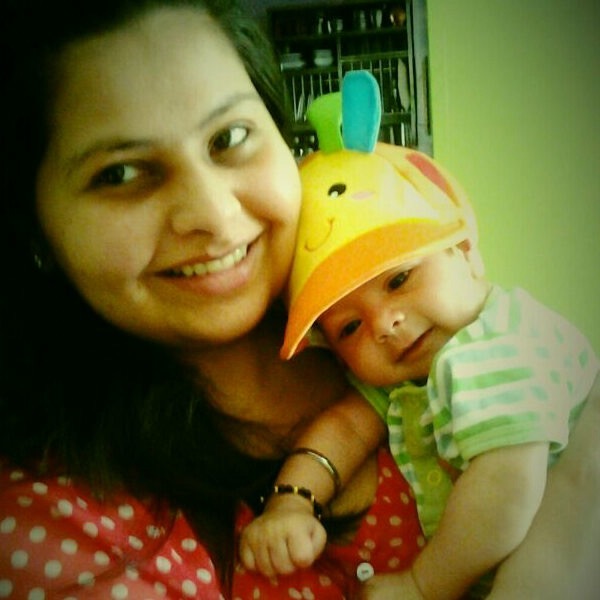 She writes in an attempt to make Mommying simpler for other new mom’s. though a caring mommy to her baby but she is NoyJustmommying. Totally agree on all the points with you, specially the hot shower and the judging bit :) good read! The part about not judging anyone ever. Thank God for this lesson that motherhood teaches us!